Elaine is an Aromatherapist, Bach Flower Remedy practitioner and Reiki Master, registered with IFPA and the Dr Edward Bach Foundation. 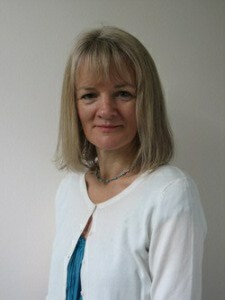 As a trained Soul Midwife she is able to offer support to those at the end of life and their loved ones. She has most recently qualified as a Sukshma Marma Therapist. I qualified as a Great Ormond Street nurse in 1982 and spent many years in a variety of health care settings. In the early 1990s an increasing interest in complementary approaches to health inspired me to re-train as a complementary therapist. This was the start of a fascinating journey which has taught me many things; in my own life and through working with others, I have seen convincing evidence that the potential for healing is unlimited. Since 1997 my practice has been established in Emsworth, on the Hampshire/West Sussex border, close to both Portsmouth and Chichester. I offer tailor-made treatments for clients in a relaxing and supportive environment. Treatment prices range from £28 to £45 and include aromatherapy massage, Reiki, Sukshma Marma Therapy and Bach Flower consultations. I am experienced at providing therapies for people before, during and after treatment for cancer, having spent many years as part of the therapy team at a cancer support centre. Please feel free to contact me with any questions about this. Aromatherapy uses the wonderful healing properties of essential oils to promote balance in mind, body and spirit. I combine the oils with therapeutic and acupressure massage, along with a sensitive touch, to relax, rebalance and harmonize your whole being. Essential oils also form part of an aromatic reflexology treatment or Indian head massage. I can advise on the home use of aromatherapy oils and provide individual creams, inhalers and oils on request. This subtle, profound and deeply relaxing therapy has its origins in Ayurveda and is suitable for everyone. It is the result of many years of research, study and practical experience by Dr Ernst Schrott, Dr J R Raju and yoga teacher Stefan Schrott. Sukshma means “gentle”, “delicate” or “subtle” and sessions can include treatment of the back, face/head, hands and feet. Using special essential oil blends, a session involves the treatment of classical marma points and energy channels in the body. Please contact me for further details. What are Bach Flower Remedies For? • Anyone of any age-even plants and animals can benefit from their gentle action. • For anyone experiencing the emotional ups and downs of everyday life. • For those who seek a sense of balance and a more positive outlook on life. • For those facing challenges or change and seeking help to move forward. • For anyone who feels anxious, depressed, ill-at-ease, lacking in confidence or facing periods of shock, trauma and distress. • A consultation gives you the space to explore how you are feeling and the most appropriate remedies are made up into a treatment bottle for you to take home. • The remedies are simple to use and I will show you how during your consultation. Alternatively, some clients choose to book a session for the sole purpose of learning how to use the remedies themselves…just let me know if this interests you. • I am able to offer consultations in person, by phone, email or Skype. See the bottom of this page for details. • Reiki (pronounced ray-key) is an ancient form of Japanese energy healing. 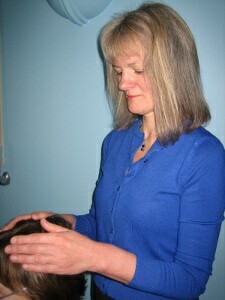 The Reiki practitioner places their hands on or above your body, whilst you are seated or lying on a comfortable couch. Clients often report a feeling of well being, peace and relaxation after a session. • Reiki is not a religion or belief system; it is a gentle and safe technique which works in conjunction with all other medical and therapeutic approaches. 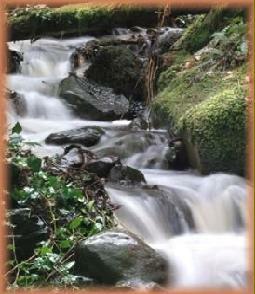 • I love to teach people Reiki. Whether you are a complete beginner or a therapist wishing to add to your skills, please contact me for details of Reiki classes and attunements. I usually teach on a one-to one basis or a small group as required so times can be arranged to suit you. • As part of my own journey I became very interested in working with people at the end of life. I came across a book called “Gentle Dying” (now re-issued as “A Safe Journey Home”) by Felicity Warner, who started the Soul Midwifery movement in the UK. I was inspired by her vision that we can all be supported to have a peaceful and meaningful death. I subsequently trained as a Soul Midwife with Felicity and now offer this approach as part of my work. • A Soul Midwife is an holistic, non-medical, non-denominational companion to the dying. There is no set way of working - a practitioner draws on a range of skills as appropriate and according to individual needs. For example, a person may wish to have help in thinking about and devising a good death plan; or maybe a Soul Midwife will simply sit with someone and provide a loving presence during their last days or hours. In essence a Soul Midwife listens, creates a compassionate, sacred space and provides gentle therapeutic techniques. The aim is to support someone during the dying process thus helping them to have a loving, dignified and peaceful death. 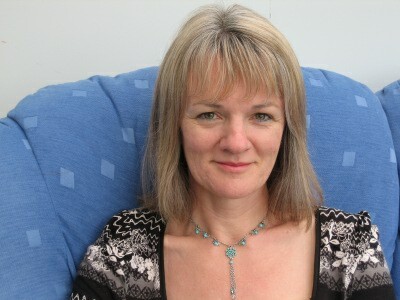 • Soul Midwives support people in their own homes, hospices and care homes and can also support families and loved ones. If you would like more information about any of these therapies, or a friendly chat, I would love to hear from you! You can phone me on 07403230572 or email elaine@apricotsunset.com to request information or an appointment. I look forward to hearing from you.